Stiga's multi purpose vehicle features an out-front deck and integrated grass collector, alongside an impressive Briggs & Stratton Vanguard 21 engine with hydrostatic transmission. 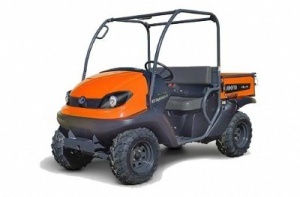 Kubota's RTV400Ci is a compact utility vehicle, boasting strong performance and excellent carrying ability, with a 16hp air-cooled petrol engine, 40km/h top speed and a 200 kg capacity cargo bed. 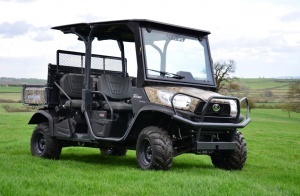 The RTV500 is a compact but feature-filled utility vehicle, powered by a durable twin cylinder 15.8hp fuel injected petrol engine, offering great performance and smooth running. 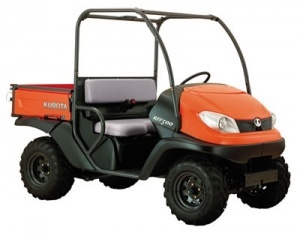 Kubota's all new utility vehicle offers a smoother ride with higher levels of comfort and even better drivability on any terrain. Available with ROPS or Cabin options. 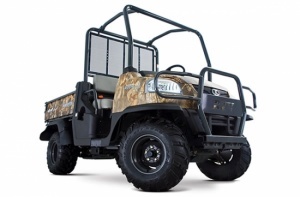 A wonderfully adaptable and versatile utility vehicle, boasting the ability to easily transition from hauling cargo in the hydraulic dumping bed to transporting friends and family with a second row of seating.